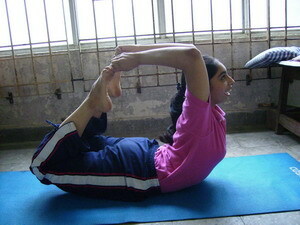 Coronary artery diseases: For these patients we have special programs where recling asanas are given which dont put any strain on the heart cardio-respiratory function is improved with asanas helping chest expansion. 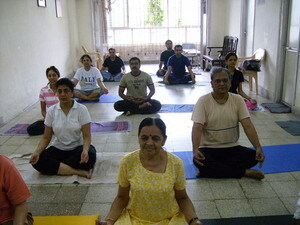 Pranayam and other breathing exercises are also taught.Stress is reduced with the relaxation techniques like Shavasanas. Finally meditation brings total peace and tranquility in cardiac patients. 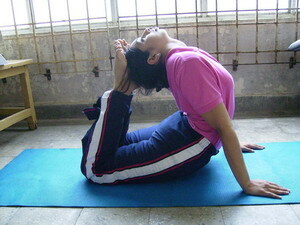 Bronchial asthma: Patients are given yoga asanas which particularly increase the chest dimensions. 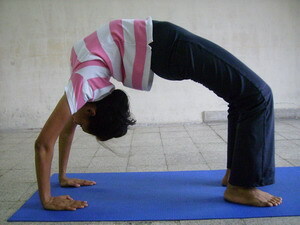 Breathing exercise and pranayam decrease the air resistance. Shavasana reduces the stress and it stimulates their own immune system against various allergies. OA of knee: Patients with early degenerative changes can be helped with different ways of stretching muscles with belts. 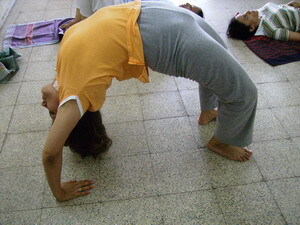 Spondilytis: Cervical and lumbar discs problems, sciatica and scoliosis are treated with various stretching yoga asanas to bring back the balance among various group of muscles. 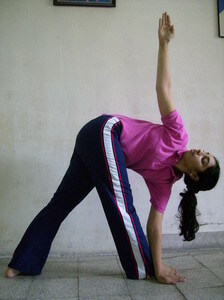 These yoga asanas tone the weak muscles and stretch the muscles which are in spasm to bring back correct posture and alignment of the spine.